Join the College of Architecture and Design for a public lecture by Jessica Rosenkrantz, Massachusetts Institute of Technology and Nervous System, on Monday, February 11, 2019. Her lecture, titled “Growing Objects,” will dissect her attempts to combine biology, architecture, computer science and fashion. 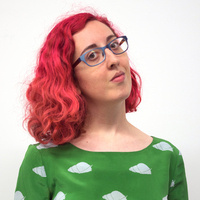 From futuristic dresses to algorithmic studies of mutant plants and coral, this talk will take you through some of the projects Rosenkrantz has created over the last decade at her design studio, Nervous System. Her discussion will examine the possibilities and challenges of digital fabrication and raise questions about the future of design, fashion and manufacturing. Rosenkrantz is an artist, designer and programmer. In 2007, she co-founded Nervous System, a generative design studio, where she currently serves as Creative Director. Her works explores how simulations of natural processes can be use in design and coupled with digital fabrication to create one-of-a-kind, customized products. In addition, she has taught design at Massachusetts Institute of Technology (MIT) for three years. She received a bachelor’s degree in biology and architecture from MIT and a master’s degree from the Harvard University, Graduate School of Design. This lecture is funded by the Robert B. Church Memorial Lecture fund. Unless otherwise noted, lectures begin at 5:30 p.m. in Rm. 109/McCarty Auditorium in the Art + Architecture Building, 1715 Volunteer Blvd. All are welcome.